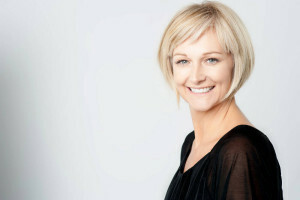 The change in hormone levels during the perimenopause and menopause, particularly the decline in levels of oestrogen, can cause acute menopausal symptoms; for example, about 30-70% of women in Western countries will experience vasomotor symptoms, such as hot flushes and night sweats (Freeman 2007; Melby 2005). Some women also report vaginal dryness and psychological symptoms, including tiredness, sleep disturbances, mood swings, anxiety, forgetfulness and loss of libido (Melby 2005; Bachmann 1999). The median duration of menopausal vasomotor symptoms is about 4 years but, in around 10% of women, they last longer than 12 years (Polity 2008). Although hormonal approaches such as HRT (hormone replacement therapy) are an important and beneficial treatment for many women at this stage, it is widely thought that long term use can lead to a number of serious side effects including an increased risk of stroke and certain cancers. (WHI, JAMA, April 2007; Cancer Research UK 2015). For women who are undergoing the menopausal transition, it is believed that acupuncture can aid the body’s changes to hormones and help relieve menopause symptoms through the use of needles at specific points along the body, restoring the body’s balance. Randomised control trials have shown that acupuncture is a very beneficial and safe way of treating these symptoms (Kim 2010; Venzke 2010; Boroud 2010; Boroud 2009; Parks 2009; Avis 2008). Further research is needed to confirm these results. Deidre and Jackie would like to share with you their experiences of acupuncture.